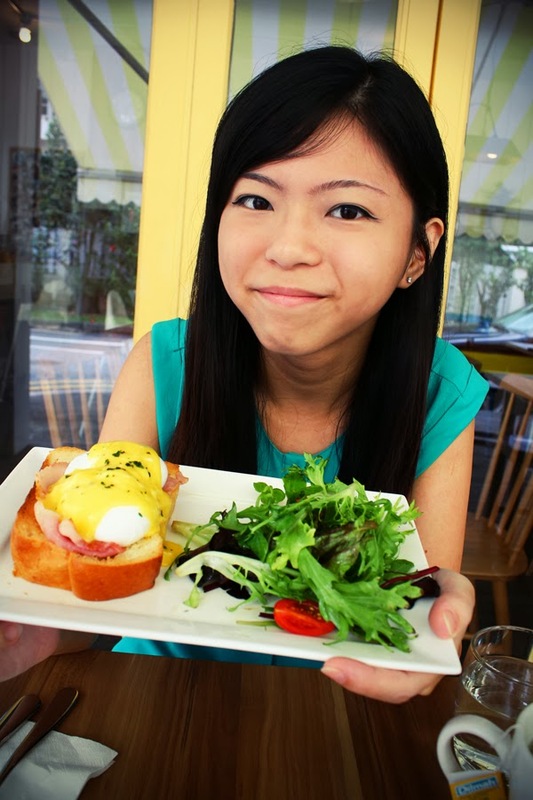 For starters, which other places can you find a S$9 Eggs Benedict? 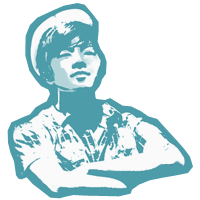 More importantly, quality does not lose out compared to the average rendition. 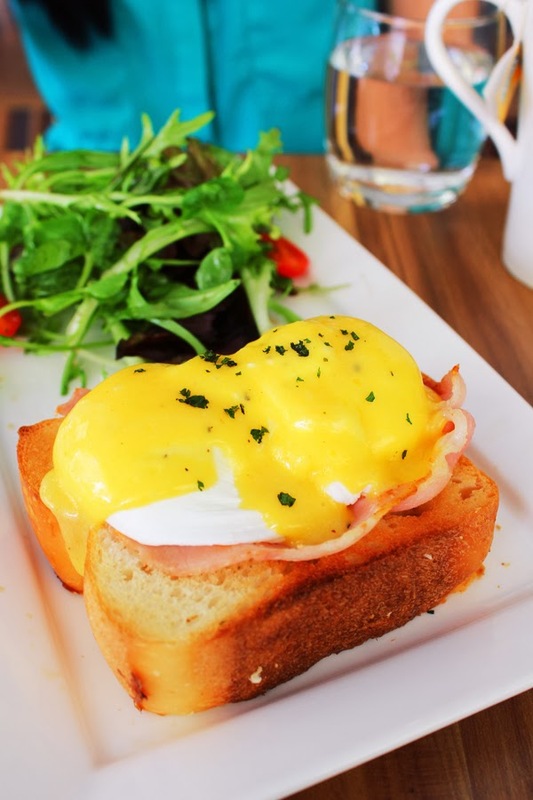 Toasted brioche, topped with bacon and two beautifully poached eggs with hollandaise sauce is completed with a serving of side salad. Coupled with your favourite cup of caffeine, now, what better ways are there to celebrate a beautiful weekend morning? If you're looking for something more filling, look no further than their Hearty Breakfast - a top-seller, and also my personal favourite. 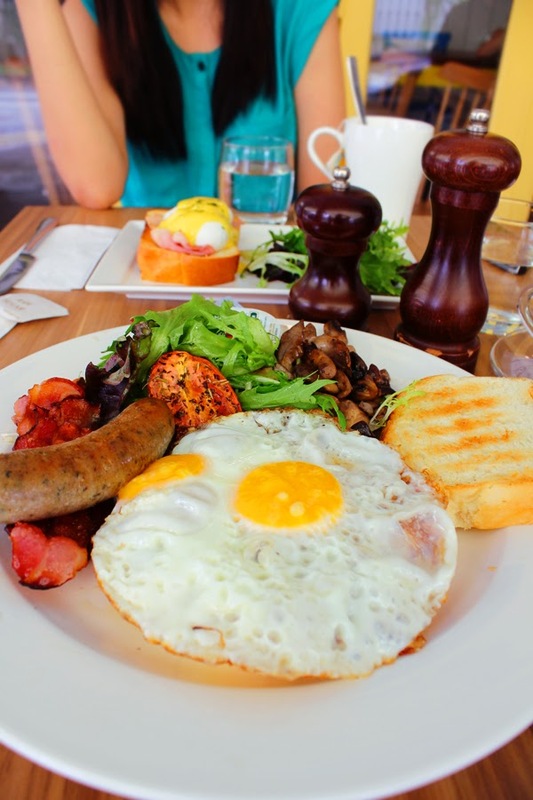 It encompasses an array of breakfast ingredients, including toast, eggs, sausage, mushrooms, salad and two sunny side-up. I have no complains, except that the eggs were a little poorly executed. Nevertheless, kudos to their overall presentation and taste. Meals are never completed without dessert (which explains my expanding waistline). 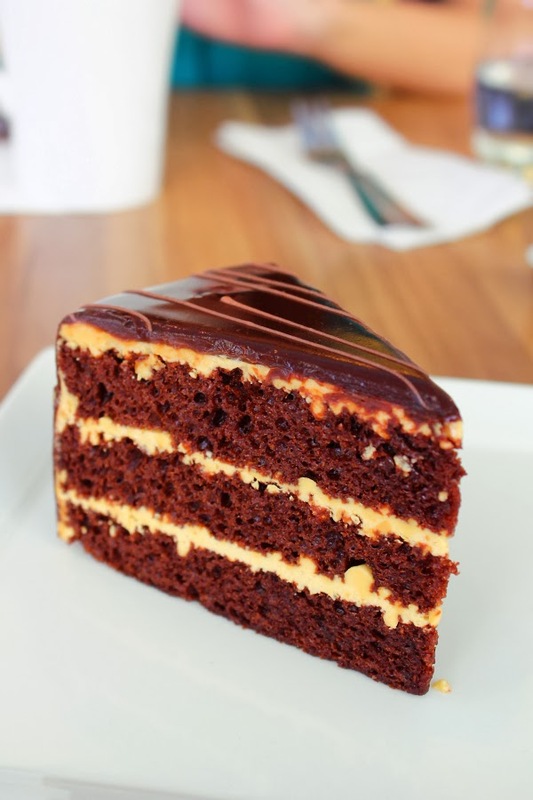 We shared a slice of Salted Caramel Chocolate Cake (S$6.80) - a brilliant executed dessert, whereby the flavour is a nice balance between sweet and salty. Just check out this piece of art, and try not to drool. Besides brunch menu (available only on weekends and public holidays) and desserts, W39 serves a variety of tapas, appetiser and mains, as well. Their signature dishes include their chef's special Nyonya Mee Siam and Wagyu burger. It's all been raves up till now, and I definitely foresee myself coming back to W39 frequently.